This is another non-hair related post. 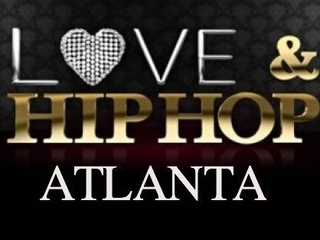 I am supporting Dani's petition to stop programmes like Love and Hip Hop Atlanta. I would love to see a program about a family, a young or old person pursuing their dream, a group of students working towards a degree, a community advocate working to help disadvantaged people, a shopkeeper and his/her customers.......anything other than the drivel that is currently being shoved at us. I believe that programmes like Love and Hip Hop Atlanta are not intended to be watched with any seriousness or expectation of role model like behaviour. Unfortunately though, these programmes fill up TV time and leave no place for alternatives. The saddest part about it is that much like Shaunie O'Neal's Basketball wives, Love and Hip Hop is also masterminded by a black woman - Mona Scott Young. There are many who will say the racial stereotypes in these programmes are not representative of the black community at large. I will agree with that but in the absence of a positive program, who outside the black community should believe otherwise? Ladies you have the power to produce something positive, use your platform well! TV audiences are generally assumed to be not very bright and in all honesty this is reflected in the car crash TV that people watch in huge droves and producers revel in the high ratings. My wish is that we should prove them wrong. Ask for something different, tune in to a different channel. Your mind is a palace, fill it with only the finest images and ideas or risk turning it into a slum. I do not understand the petition to get these shows cancelled. Maybe it is because I am not American. When Jersey Shore started there was a petition to cancel the show because people felt it showed Italian American in a bad light. Oh well, as long as it on air, I would be watching. I tried watching some wholesome black sitcoms such as Let's Stay Together & Reed Between The Lines and compared with other sitcoms they are boring. I am not American either but I am not blind to the influence that America and specifically black people in America have on the diaspora. 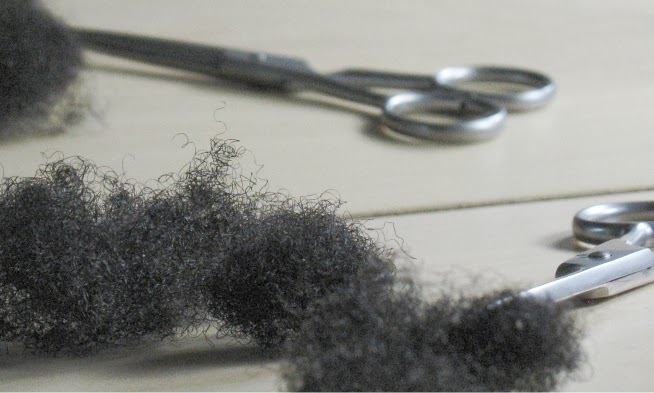 As an example, many young women in Kenya choose hairstyles based on magazines such as Essence. I do think that you are totally free to watch whatever you like especially if you are entertained by it. My issue is with the reality genre and the lack of choice. The only programs you can find with black people are ones where they are beating each other up, dealing with infidelity etc. Meanwhile in non-black shows, there is choice outside Jersey shore e.g the documentary with the Johnson and Johnson family, Newlyweds etc - Not saying that the content of these programs is particularly enthralling or role model worthy but they are not all about physical violence, infidelity etc. I think that in my parents day, the average 16 year old was thinking about getting a job or going to university to actually get a degree. Now the average 16 year old is thinking about getting a new phone or shopping for new sneakers............it is a sad reflection of what society values. @Jc, your first paragraph is spot on. Black people in America do have lots of influence in the diaspora,sometimes I am surprised that some don't realise this! With all the media we have nowadays, the reach is even greater. Even the young men in Kenya and possibly other places, dress like rappers and use language normally found in rap/hiphop music, some of which is very derogatory. I like your quote "Your mind is a palace, fill it with only the finest images and ideas or risk turning it into a slum. ", so true! I don't like the shows, so I don't watch them. Unfortunately they'll never go off air because there are people who do like and watch them. I LOVED Reed Between the Lines, but unfortunately there were't as many people interested in that as there are interested in the Housewives shows. I agree with the petition. These shows are a disgrace and they hurt us, especially the youth among us. I long for the day when we can have shows like A Different World and Living Single back on the air. It seems like in the last 20 years, we've regressed in the area of positive television aimed at black audiences. Also modern shows like Family Crews and Run's House prove that it IS still possible to do reality TV responsibly. I never got to see Family Crews but Run's House was definitely had more positive content. It would be nice to see more shows like those instead of or at least in addition to the current choices. Great post, nicely stated. I signed the petition, ya dang right I did. I like to watch TV with ACTORS, not drama-seekers that show us all the wrong things to acquire to become. They just keep getting trashier and trashier. I could type all day on this one. I like the thought, but I have my doubts that signing a petition would work. I also can't stand these shows. But I really wonder if black people WANT to see themselves represented in a more positive light in the media. It seems like you have people talking out of both sides of their mouths. Many say they do want black people to not be shown in a bad light, but watch these show religiously. Then they get mad at you for pointing out how stupid and terrible these shows are because they don't want you to ruin their entertainment. A friend of mine gave me "the finger" (if ya know what I mean) because I spoke out about how fake these shows are. I just don't have faith in my fellow black people that they actually don't want to be viewed as stereotypes. But I do appreciate the thoughts behind the petition. I signed the petition even though I don't watch these types of shows. I think they're messy and trashy. Maybe one day we'll have some better programming on tv. I linked to this post. Signing that petition will not work unless MILLIONS of people protest and investors/tv execs see that those shows will know longer be a profit for them. As long as there is a profit and an audience no peition is going to take those shows off the air and that's the sad truth. This is why I don't watch tv period. That is why i don't own a television,my mind can breathe.Great article by the way. i signed that thing right away! i believe best thing to do is to tune in to and support the shows with more substance to make sure those don't die out, leaving us with no other option but the trash. I signed the petition if it's not on T.V I won't have to listen to friends talk about it. I've seen two episodes of love and hip hop and that was enough. If i'm hanging out with friends I let them know I will not be watching that show. I just refuse to contribute anything to a show like that same way I won't support a musician who doesn't respect women. I can't believe I missed this post!! Thanks for spreading the news on the petition and thanks to all who have signed it! Tia and Tamera is a great clean show.